It is very rewarding seeing my pieces being used whether it is in a magazine or someones home. 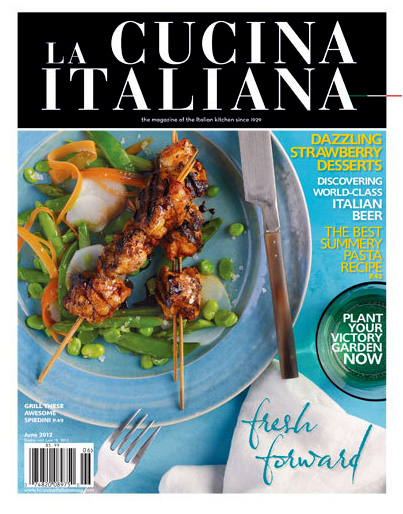 I love this image taken by the photographer, Ellen Silverman, and styled by the very talented, Amy Wilson, in La Cucina Italiana! 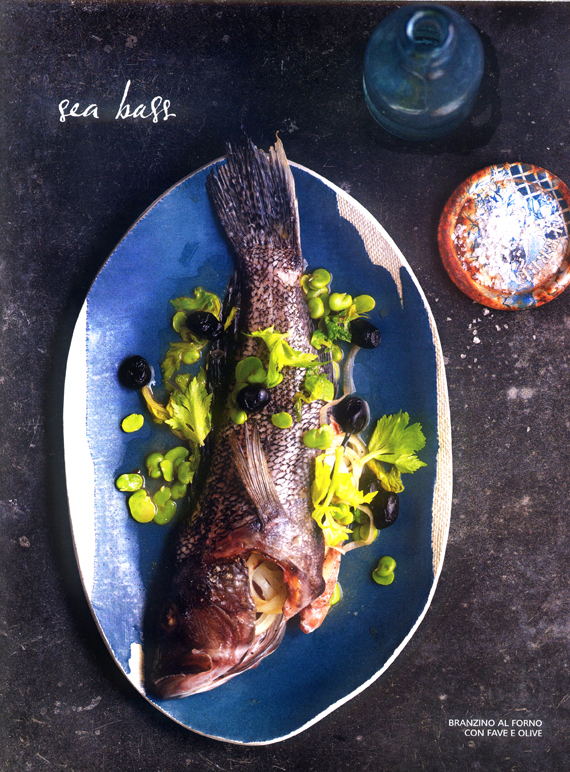 It's a gorgeous shot and I can't wait to try the recipe for this delicious looking Sea Bass! 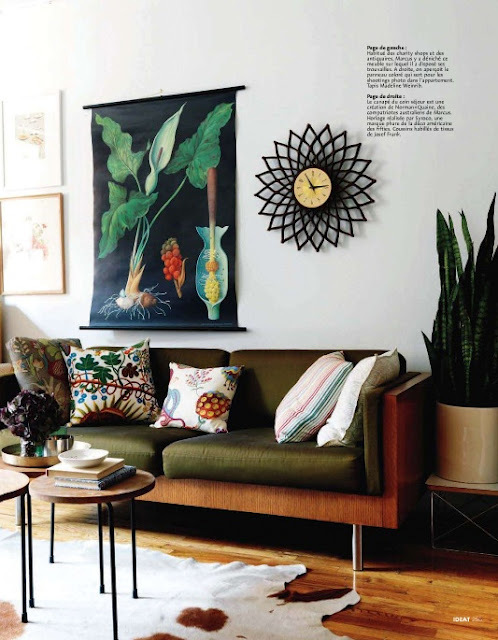 I love Marcus Hay's Fluff 'n' Stuff blog! It's the perfect name for a stylist's blog and the name also reminds me of a childhood television series H.R. Pufnstuf! Not sure that Marcus meant for it to be related at all to the 1960's tv show! But I like that it conjures up that memory for me! 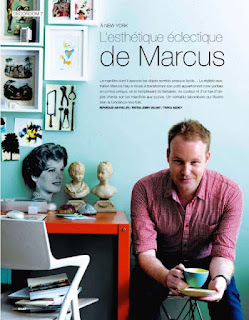 Recently Marcus did a piece about me and Elephant Ceramics. Link to it here. It's a super nice piece on the evolution of my career leading to ceramics. Thank you, Marcus, for the very lovely write-up! 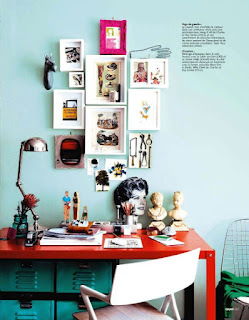 Please visit Marcus's blog where he posts wonderful write-ups about all things design including Vera Nuemann, Bjorn Wiinblad, Ettore Sottsass and other important design icons. 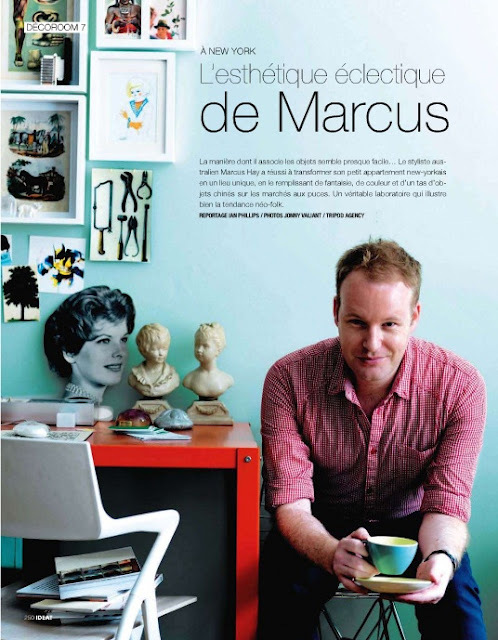 You can also see Marcus's apartment featured in some of the best international shelter magazines (see above.) Also check out his website to view his gorgeous portfolio and to learn more about Marcus Hay. You will not be disappointed!